Andy Walsh, Technical Manager of Worcestershire based Pyroplex has recently added to his long list of industry relevant qualifications, having been awarded a 100% pass for his FDIS Diploma in Fire Stopping (DipFD). Leading many governmental technical committees in addition to being a UK Principle Expert in many aspects of fire stopping, Andy is of huge benefit to the company’s customers and the industry as a whole. Pyroplex offers construction companies and distributors a range of third party certified products in addition to a huge amount of custom development work, addressing specific problems within the industry and developing innovative solutions. 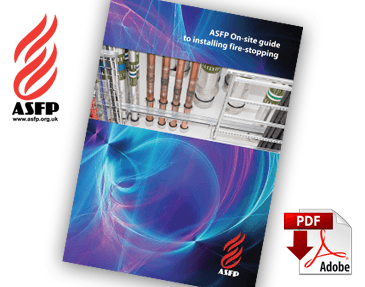 Andy’s in-depth understanding of industry regulatory requirements, not just in the UK but in many countries and regions worldwide, makes Pyroplex a highly capable partner in the manufacture and supply of fire stopping products. Joining the business 34 years ago, as a YTS trainee at 16, Andy worked his way around Reddiplex Group before developing a flair for the technical side of the business. With the company encouraging his ongoing education and knowledge development, Andy now holds several notable qualifications in addition to his recent success, including an engineering degree (B.Eng.) in Metallurgy and a CMI Certificate in Management Studies. Furthermore, his high-level leadership of many technical committees including FSH22/Fire Resistance Tests National Standards Body BSI and FSH/22/-/03 Penetration and Linear Gap Seals ensures that Pyroplex is always at the pulse of the industry. Part of the Reddiplex Group, Pyroplex has ambitious growth plans in the years ahead. A considerable amount has been invested in buildings and specialist equipment during the last 12 months whilst the business can draw on the extrusion expertise of the Group. Busy on-site fire testing facilities have enabled Andy to review and develop more than 20 fire door specifications this year alone – each one achieving the required standard upon completion. 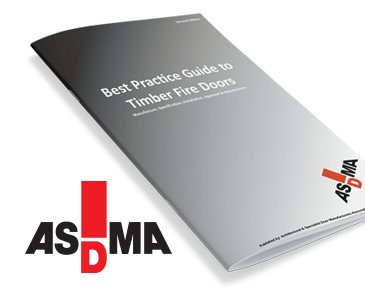 Click Here to download the ASDMA Best Practice Guide.